STEPHENS, GEORGE WASHINGTON, businessman, lawyer, and politician; b. 22 Sept. 1832 in Swanton, Vt, son of Harrison Stephens* and Sarah Jackson; m. first 31 May 1861 Elizabeth Mary McIntosh in Montreal, and they had one son; m. secondly 1878 or 1879 Frances Ramsay McIntosh, and they had one son and two daughters; d. 20 June 1904 near Saint-Alexis-des-Monts, Que. The son of a merchant from Vermont who had recently established himself in Montreal, George Washington Stephens was born in that state during a visit there by his mother. His father quickly became a prosperous businessman and landowner in Montreal and George Washington began his career in the city’s retail hardware trade. Early in the 1860s he joined with his brother Sheldon Samuel Stephens to oversee the vast property holdings amassed by their family. He obtained a law degree from McGill College in 1863, was admitted to the bar, and soon afterwards entered into partnership with John Adams Perkins. The partnership was short-lived; by 1868 Stephens was practising alone. He had quickly attracted the attention of the legal profession as a result of his involvement in a highly controversial case, Connolly v. Woolrich and Johnson et al. (1867); it concerned the marital status of a native woman, Suzanne Connolly*, who had married fur trader William Connolly* according to the custom of the country. 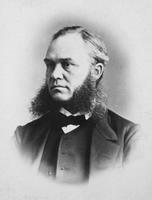 In the late 1860s Stephens began a political career which would span three decades. 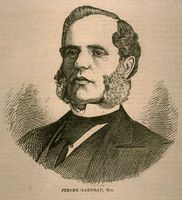 He made his début in municipal politics in 1868, as a councillor for Saint-Laurent ward, an overwhelmingly Anglo-Protestant district in the western part of Montreal. Throughout his tenure he obtained substantial support from the financial section of the business community and on numerous occasions his declarations reflected positions held by the major business interests in Montreal. When significant increases in spending were proposed by the city government, he began to insist on efficiency in financial matters. His vigilance would earn him the title “faithful watchdog” of the civic administration. He occasionally assumed the role of mayor during the latter’s absences from the city. 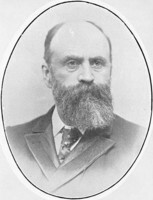 After 15 years on the municipal front Stephens entered provincial politics in 1881 as a Liberal candidate in the riding of Montreal Centre. He emerged as a leading spokesman for the Anglo-Protestant minority within the Liberal opposition. He was outspoken on the issue of real or perceived mismanagement of public finance by successive Conservative administrations and was frequently called upon to criticize the budget statements of the government. During the 1880s he focused on the accumulation of debt brought on by the heavy financing of the perpetually troubled Quebec, Montreal, Ottawa and Occidental Railway. Stephens fiercely opposed the introduction by the Conservative government of a direct tax on commercial corporations in 1882 [see Jonathan Saxton Campbell Würtele]. 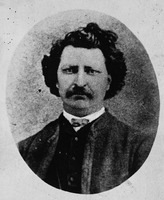 Stephens’s provincial career was affected by the controversy surrounding the hanging of Métis leader Louis Riel* on 16 Nov. 1885. 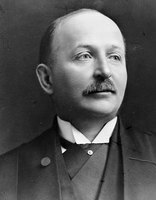 The leader of the Liberal party, Honoré Mercier*, severely denounced both federal and provincial Conservatives for having supported the decision of the government of Sir John A. Macdonald* to let Riel hang. Mercier made an effort to unite provincial Liberals and dissident Conservatives in a nationalist coalition which was based on the belief that the Riel affair was a prime example of English Canadian insensitivity to French Canadian concerns. In the midst of rapidly rising tensions between English and French Canadians, Quebec’s Anglo-Protestant community became increasingly disturbed by Mercier and looked to their political spokesmen, among them Stephens, to challenge the nationalist coalition. Stephens found himself caught between his loyalty to the provincial Liberal party and the anger of his constituents. He made a futile effort to avoid the Riel question by focusing on the Conservative government’s mismanagement of finances. When dissident Conservative Pierre Garneau proposed a motion on 28 April 1886 deploring the execution of Riel and the Liberals followed with one condemning the provincial Conservatives for not intervening in the Riel affair, Stephens absented himself from the assembly. His failure to express a firm position on the issue invited criticism from his Anglo-Protestant constituents. The Montreal Daily Star noted that voters were eager to hear from him and concluded that only a statement on the subject would save him from suspicion or accusations of double-dealing. Stephens proved unable to cope with the criticism directed at him as a result of his inaction. He suffered a set-back in October 1886 when he was defeated in Montreal West by Conservative John Smythe Hall. In the election of 1890 he was again unsuccessful in the riding, renamed Montreal, Division No.4. The two consecutive losses did not weaken his resolve and in 1892 he was elected for Huntingdon, situated outside his traditional Montreal fortress. 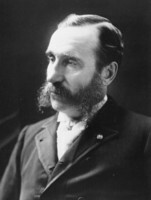 When the Liberals won office in 1897, Stephens’s years of loyalty were rewarded; Premier Félix-Gabriel Marchand* named him minister without portfolio on 26 May. He was appointed to the same office on 3 Oct. 1900 in the government of Simon-Napoléon Parent*, but did not contest the general election in December of that year. In 1902 he was named to a provincial commission on colonization. 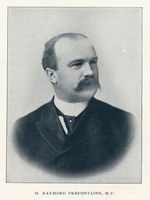 In the late 1880s, although Stephens appeared to have lost his provincial political base in Montreal, his municipal support had remained strong. In 1889 he was elected alderman. Continuing in his efforts to ensure that the civic administration properly managed its finances, he was especially critical of the clique surrounding alderman Raymond Préfontaine. He played an important role in the creation of the Good Government Association of Montreal, established to promote efficiency in public administration. In the last two decades of the 19th century, Stephens played a pivotal role in the introduction of reform ideas into Montreal municipal politics. Indeed, during the 1890s, his critique of government inefficiency and mismanagement provided a focal point for the opposition to the government of Préfontaine and Henri-Benjamin Rainville, chairman of the city’s finance committee. He referred to that administration as a “board of speculators” whose extravagance was largely borne by the more affluent western sections of the city. In June 1892 Stephens employed his dual provincial and municipal mandates to call on the provincial government to freeze Montreal’s debt. Although he was only partially successful in this appeal, it created greater impetus for the reform movement in city politics. Despite his political activity, Stephens did not abandon his business and personal interests. During the 1880s he was named president of both the Citizens Gas Company of Montreal and the Mercantile Library Association. In addition, he was a member of the Montreal Board of Trade and sat on its council. A Unitarian, he participated in numerous philanthropic endeavours. Among his most prominent services were those rendered as a governor of the Montreal General Hospital and the Protestant Hospital for the Insane. A member of the Fish and Game Protective Club of the Province of Quebec throughout the 1890s and early 1900s, he died on his way to his fishing camp at Lac à l’Eau Claire. His son George Washington would pursue a career in provincial politics and thus three generations of the Stephens family would mark the history of Quebec. George Washington Stephens is the author of Forestry and colonization: a report (Montreal, 1903). ANQ-M, CE1-132, 2 févr. 1846, 31 mai 1861. Gazette (Montreal), 21 June 1904. Montreal Daily Star, July–August 1886. Montreal Daily Witness, July 1886. Montreal Herald, July 1886. Atherton, Montreal. R. W. Cox, “The Quebec provincial general election of 1886” (ma thesis, McGill Univ., Montreal, 1948). Directory, Montreal, 1863–1900. Michel Gauvin, “The municipal reform movement in Montreal, 1886–1914” (ma thesis, Univ. of Ottawa, 1972). RPQ. Rumilly, Hist. de la prov. de Quebec, vols.3–11. Jack Jedwab, “STEPHENS, GEORGE WASHINGTON,” in Dictionary of Canadian Biography, vol. 13, University of Toronto/Université Laval, 2003–, accessed April 24, 2019, http://www.biographi.ca/en/bio/stephens_george_washington_13E.html.